People experience permanent tooth loss for many different reasons, including genetic conditions, damage, disease, or even personal choice. No matter the reason for the original loss, those teeth need replacement options, not just for optimal appearance but for the vital role teeth play in eating and talking. 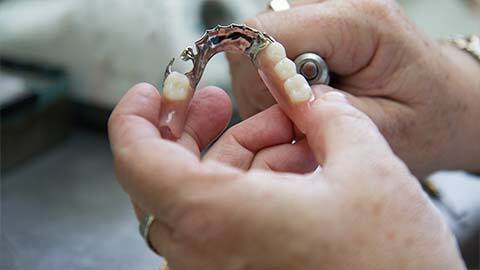 Full dentures replace an entire set of teeth, and consist of artificial teeth set into an acrylic base. 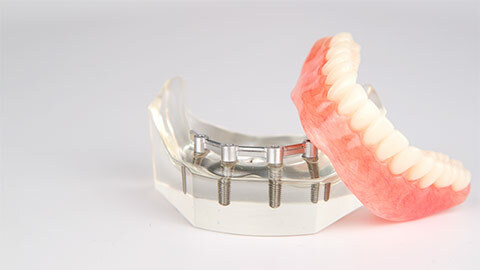 Made from custom-molds of your mouth in order to provide a snug and comfortable fit, dentures look like real teeth and are carefully constructed for your mouth. Dentures are removable for cleaning and maintenance, so they sometimes need adjustments in order to attain the perfect fit. 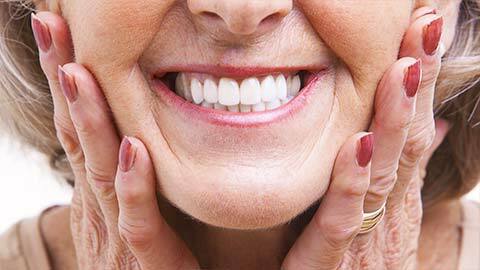 But their reliability and longevity make dentures an outstanding choice for permanent teeth replacement. If you’re in need of teeth replacement options in Drumheller, let us give you a hand. We’ll have you looking, eating, and talking better in no time!